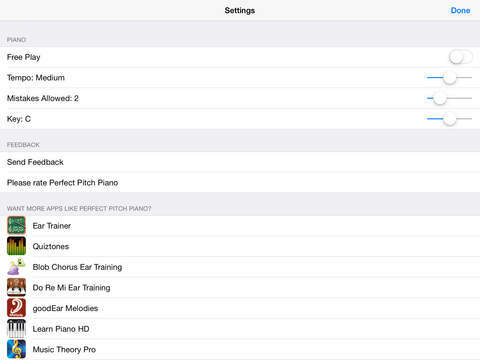 Perfect Pitch Piano is the best ear training game for the iPad, iPod and iPhone. It's like "Simon Says"––it plays a melody and you play it back by ear. It's been featured in iTunes Music Category and has helped hundreds of thousands of people train their ear and improve their musical abilities! 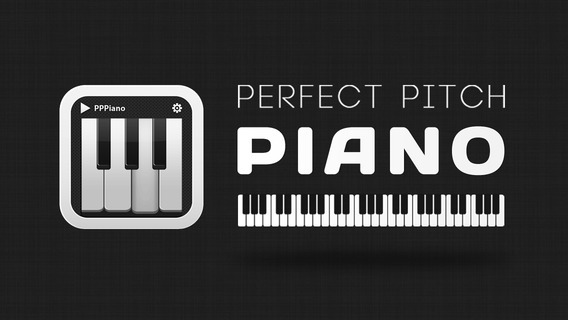 Start having fun and improving your ear today with Perfect Pitch Piano! Perfect Pitch Piano is a music game that teaches you to play piano by ear in a fun and intuitive way--that way you'll actually want to practice! Whether you're an experienced pianist, or a complete beginner, we can teach you the fundamentals you need to know for improving your music abilities. A good ear is the secret to musical super powers! Dozens of fun songs like nursery rhymes, TV theme songs, classical music, scales, blues and more are included to help you improve your ear, all while having fun! See the full list below! Hundreds of individual melodies to master with practice. Control melody difficulty, tempo and pitch (pick any pitch inside 3 octaves, from low-C to high-C). Learn scales, intervals, rhythm, theory, pitch, dictation and more! 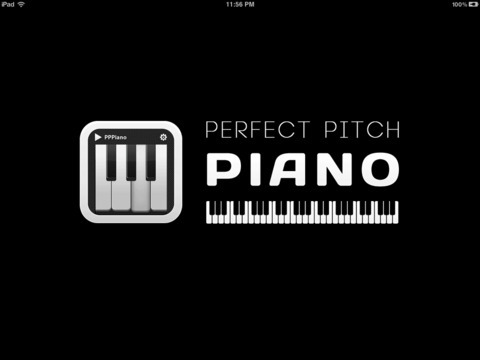 This app will make you a better musician––purchase Perfect Pitch Piano today! 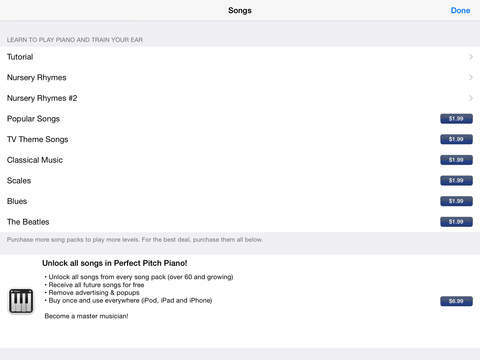 * Added new Beatles song pack! * Added TV Theme Songs! 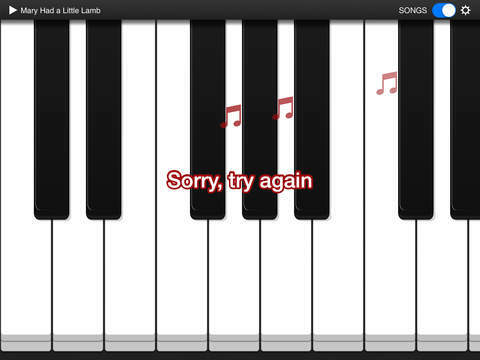 * Added helpful animations to tell you when you hit the right or wrong note! - Added 5 new songs! - Major improvements to song playback quality! Big update to improve ear training and quality while music is playing.
? 8 New Songs! This is a must-have release! This is a huge update, you should get it. Small bug fix with the way lessons are loaded. 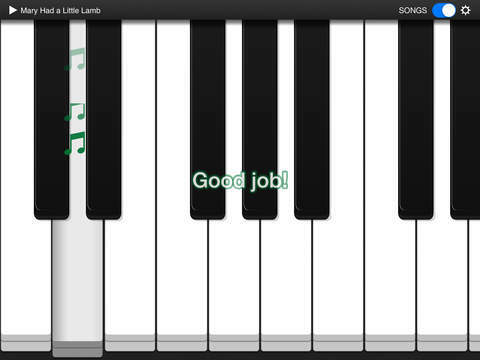 * Added new learn mode to show you a melody after you miss it more than twice. This was a fun and educational app. Nice work! Would like to see more songs. 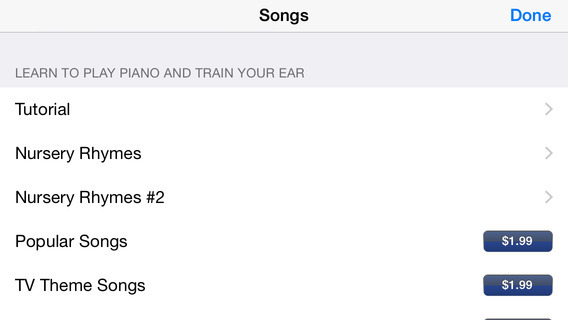 Even though I play the piano, I'm finding this app very useful for training my ear. I do not have perfect pitch and this is very helpful. The ability to change keys is excellent.